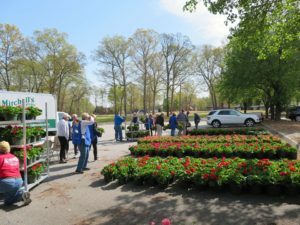 The Bermuda Run Garden Club conducts the sale of Geraniums in April to encourage community beautification. Profits from the sale help fund our various community projects. The Project Chairwomen make arrangements with a local nursery regarding the price and delivery date of the plants and oversee publicity for the sale. 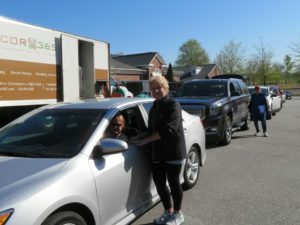 Garden Club members pre-sell the plants and provide all assistance for pick-up of the geraniums on the delivery date. As a service to the neighborhood, members water and prune two large planters at the Bermuda Run Post Office. The club coordinates new plantings in the spring and the fall. 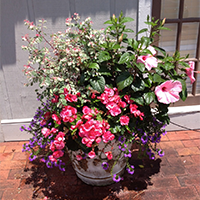 Garden Club members are scheduled on a rotating weekly basis to water, deadhead, and fertilize the plants. 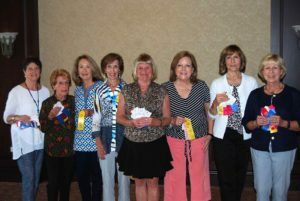 To encourage more gardening and designing of our backyard flowers, the Garden Club participates annually in the Design, Container Plants, and Horticulture segments of the Dixie Classic Fair. To raise funds for our projects, members may also submit entries in a variety of competitions of their choice at the Fair. Documents are shredded on site by a mobile shredding truck in a safe and secure manner. The shredded material is then recycled into paper towels and napkins. Proceeds go to various Davie County community programs that the Garden Club supports.